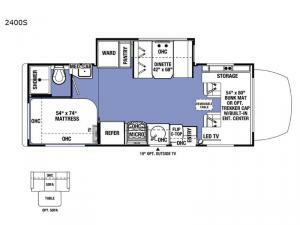 Come tour the countryside in this cozy Sunseeker MBS Class C diesel motorhome by Forest River. Mom and dad have a privacy curtain to close off the rear full-size bed while sleeping at night, and the kids can enjoy the 54" x 80" bunk over the cab. 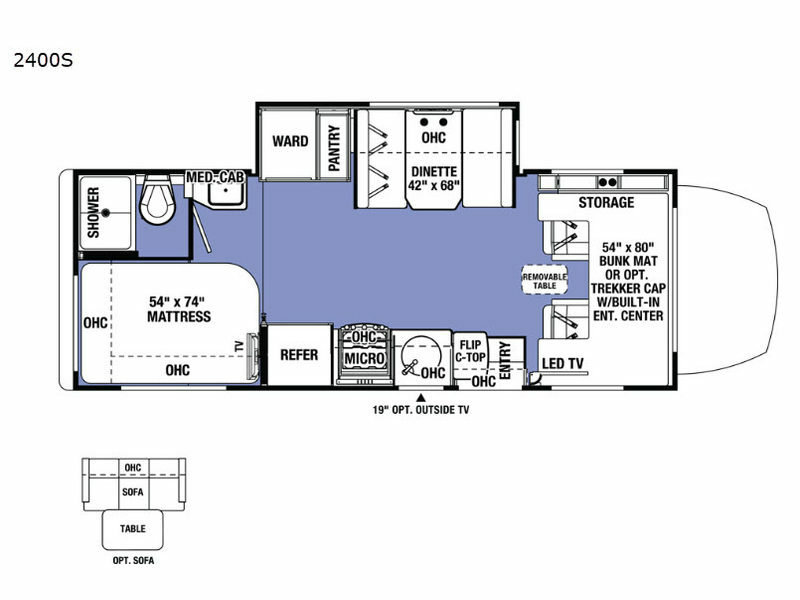 The 42" x 68" booth dinette will also fold down at night to add enough space to sleep five people. The rear bath is conveniently located in the back to add privacy while getting ready in the morning. These Forest River Sunseeker MBS Class C diesel motorhomes are what you will want when it comes to tasteful style and design. The color backup camera will come in handy when parking your RV into your campsite. The inside of these motorhomes are comfortable, spacious, and stylish, and the exterior is solid and reliable with its 1.5" aluminum-framed laminated sidewalls and gel-coat fiberglass. Plus, all of the Sunseeker MBS models are "Certified Green" by TRA Certification.